It’s been since about 500 B.C. that Babylonian and Assyrian were widely spoken. Those languages, closely related to Arabic and Hebrew, were assimilated into Akkadian, the primary speech of what is now Iran, Syria, and Turkey. Later, Aramaic, the language of Jesus, eventually became the preferred way of speaking in those regions. 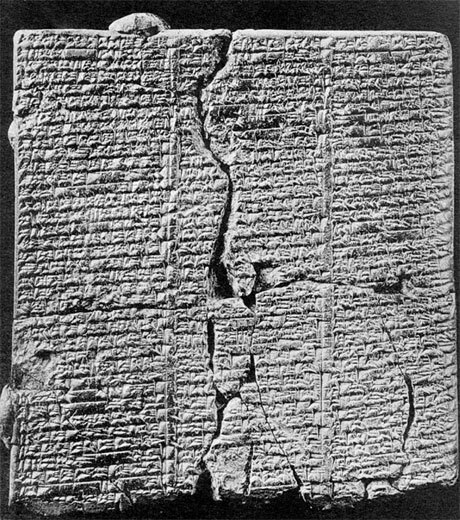 It wasn’t until the nineteenth century that interest was renewed in ancient Assyrian. The work of scholars, who discovered thousands of cuneiform tablets, revived studies. By the mid-twentieth century, enough work had been done to decipher the language and reconstruct how it may have sounded (although, Worthington admits, there are disagreements and variations regarding his interpretations). Differences aside, enough people are curious about the efforts to give the recordings a listen: some 236,000 people have accessed the audio archives. So, now you’ve fallen in love with the cadence of the language and want learn how to speak fluent Ancient Assyrian? Well, Worthington has your back there too. You can purchase Complete Babylonian: A Teach Yourself Guide and feel confident when you order your jalfrezi and rogan josh. Hold your rython aloft and ask for their best shiraz.